which table saw or cabinet saw ? I am looking for a table saw or cabinet saw, budget 1400 mix, able to cut hardwood( maple, oak, walnut) easily and smoothly and accurately. thickness 2-2.5 inch. 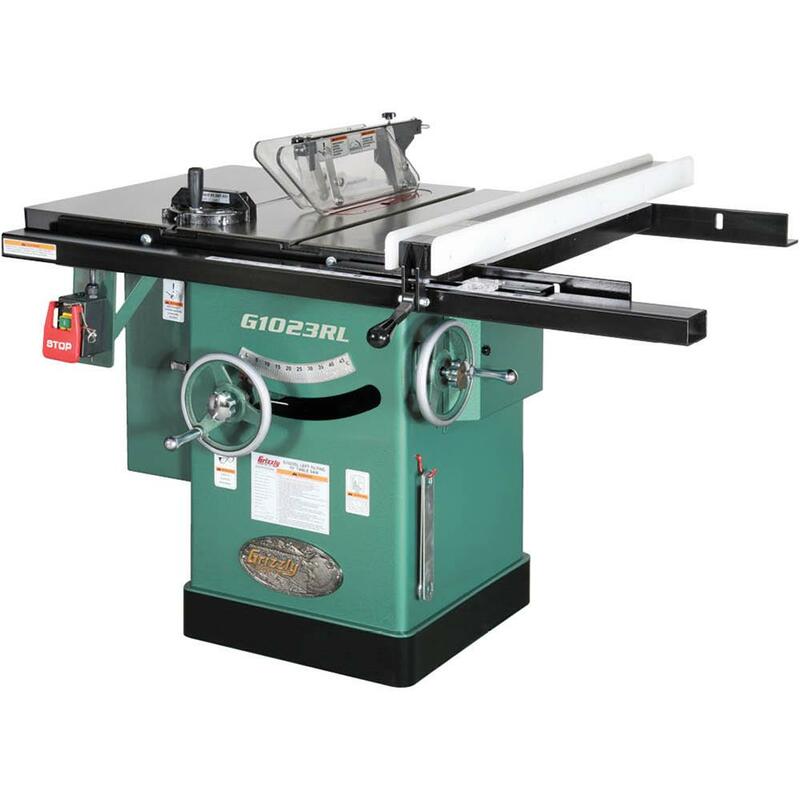 We use a Grizzly 1023 with 220v at 5HP and easily cut 2.5” thick hardwoods. It is close to your budget number. 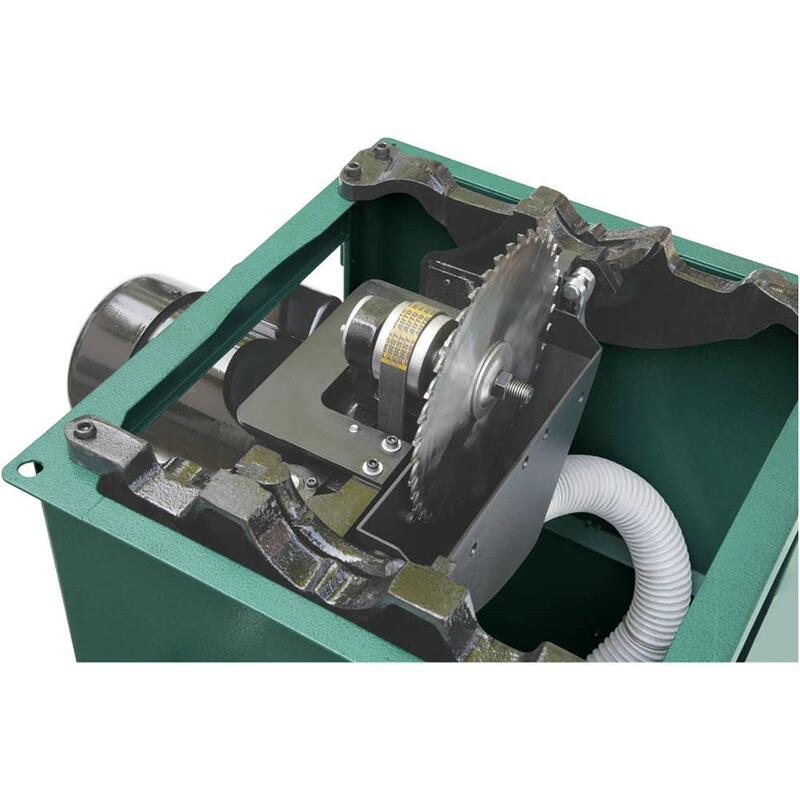 Your criteria suggests an industrial 3hp cabinet saw, which will require 220v. Smooth and accurate cuts will really be a function of setup and blade choice. The Grizzly G1023RL is about the best saw for the buck that fits the bill in a new saw, and it also closest to your budget $1475 + $120 s/h. Otherwise, you’ll need to look for used or a lesser saw. I have a grizzly 883. its 220 and cuts thick material just fine. currently it costs about 1200 get the mobile base and I think your at 1300.If you can wait for a sale I got mine for 900. it was 1000 with the base.the fence has always been dead on. its a t fence not a biesemer style but its still a nice saw. PM66 it is difficult to find out. the price is CAD 2175. Have the Grizzly 3hp. Powerful, easy to tune, solid and the best value right now. Where to find out it? Street price is $550. You might be able to find a factory refurb for $350-400, but make sure it includes the stand (it’s a great stand). It’s got a real riving knife (floats and tilts with the blade) and it can take a 3/4 dado stack (prolly want a 6-inch due to power constraints). It’s not a cast-iron cabinet saw and it’s no Biesemeyer fence, but it’s competent stuff. Especially for the price. It uses a thin kerf blade (min. kerf is something like 0.92 in., to allow for the riving knife). Pair it with a zero-clearance insert (https://www.woodcraft.com/products/bosch-4000-4100-series-table-saw-zero-clearance-blade-insert-bh-1), and a better blade (https://www.forrestblades.com/woodworker-ii-thin-kerf/) and you should be good to go. Where about do you live? When I have order from Grizzly the delivery and $ exchange will affect the total cost but I have made a couple of trips to Bellingham for items that made it worth while. Looked at there saws and at the time better deal than anything new here in Canada, I was lucky enough to find a like new USA Delta that some times still makes me fell guilty. (even came with a in the box tenon jig) Depending on your area wait and find a used deal? Trying to decipher the OP’s posts is turning this thread into a lot of fun.